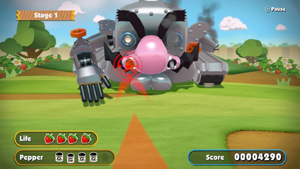 The WarioWare crew returns, but they're not just making microgames. These are full minigames that make use of the TV and Wii U Game Pad together. 12 single-player and 4 multiplayer minigames available. Earn tokens in each game that you can spend in the Cluck-a-Pop capsule machine to unlock toys and games.